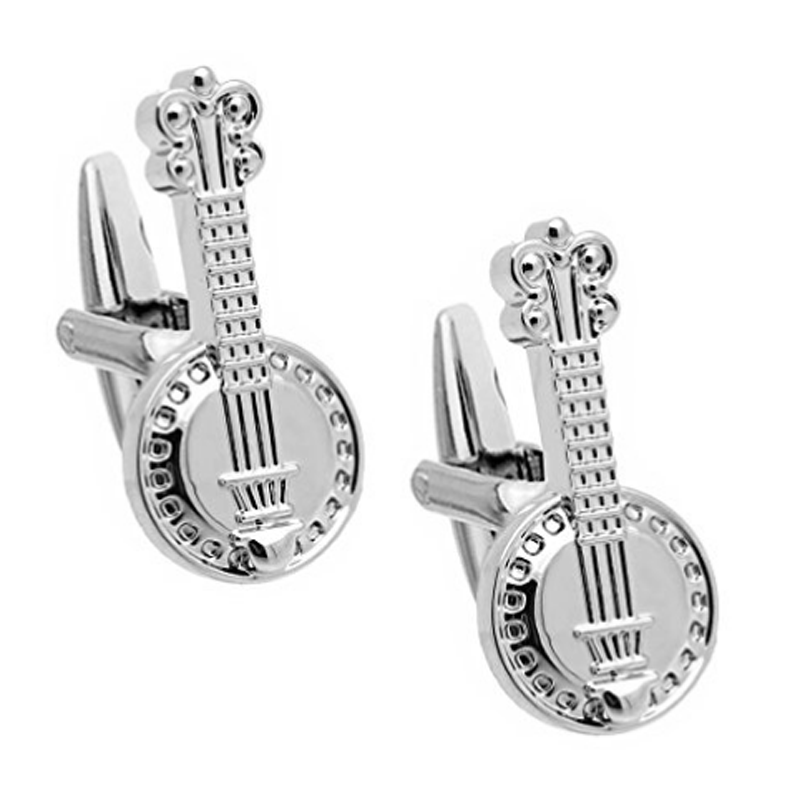 4 strings and Cuff Links fretwork, the size is 35mm by 12mm and made by Brass with rhodium coating. 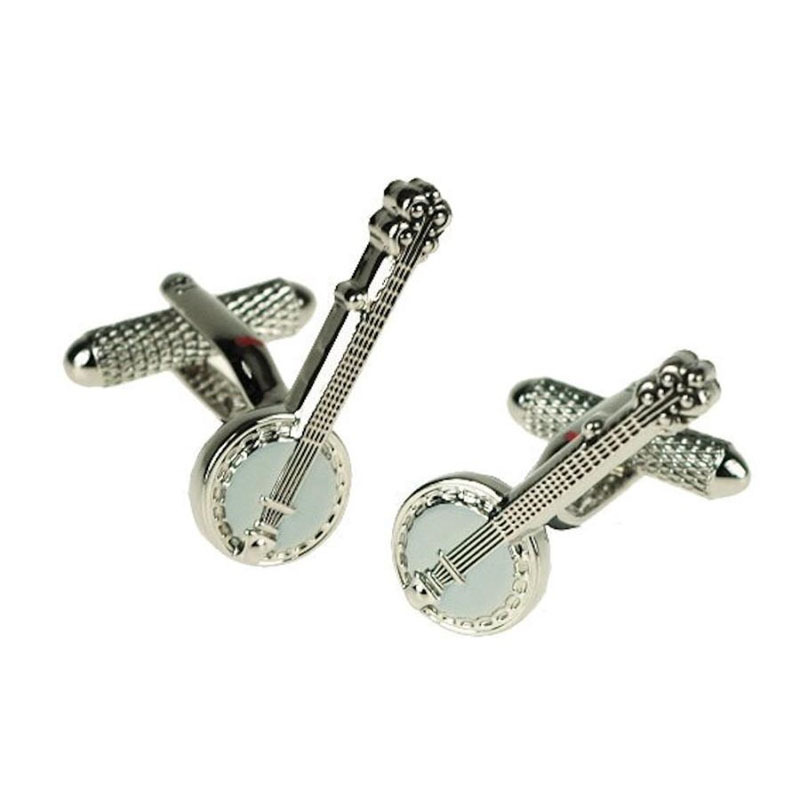 Silver Banjo Cufflinks that the banjo motif. Simple yet elegant atmosphere in the luster of reasonable size and silver. 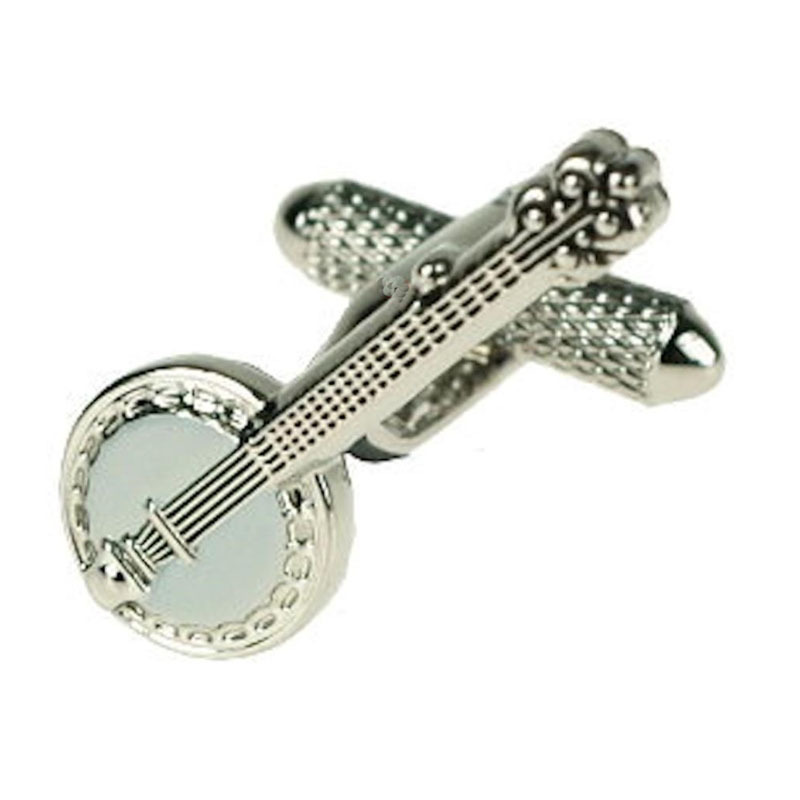 Music is the favorite one, it is recommended towards the banjo player. Best for yourself, to gift for men gift for loved ones. 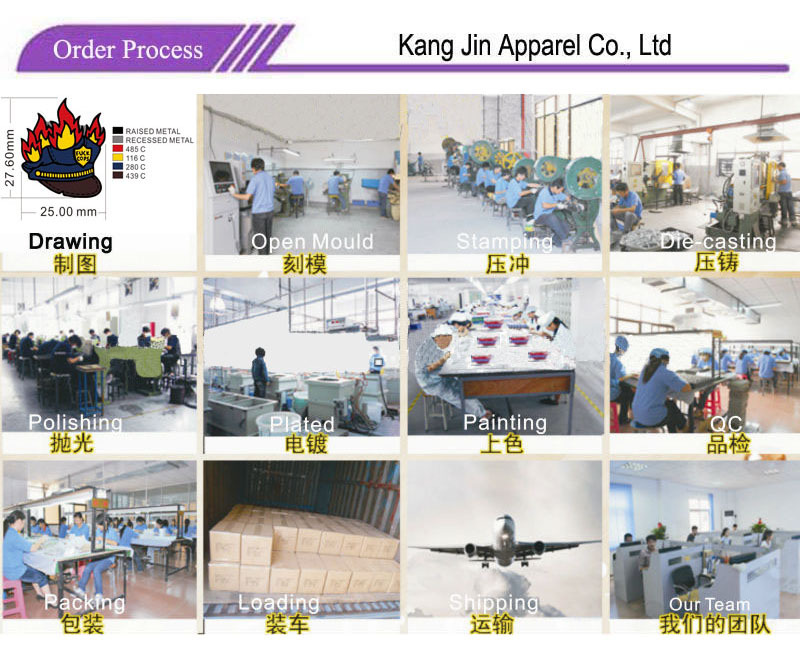 Q:I am a novice foreign trade, how to finish an order for the Cufflinks Set? 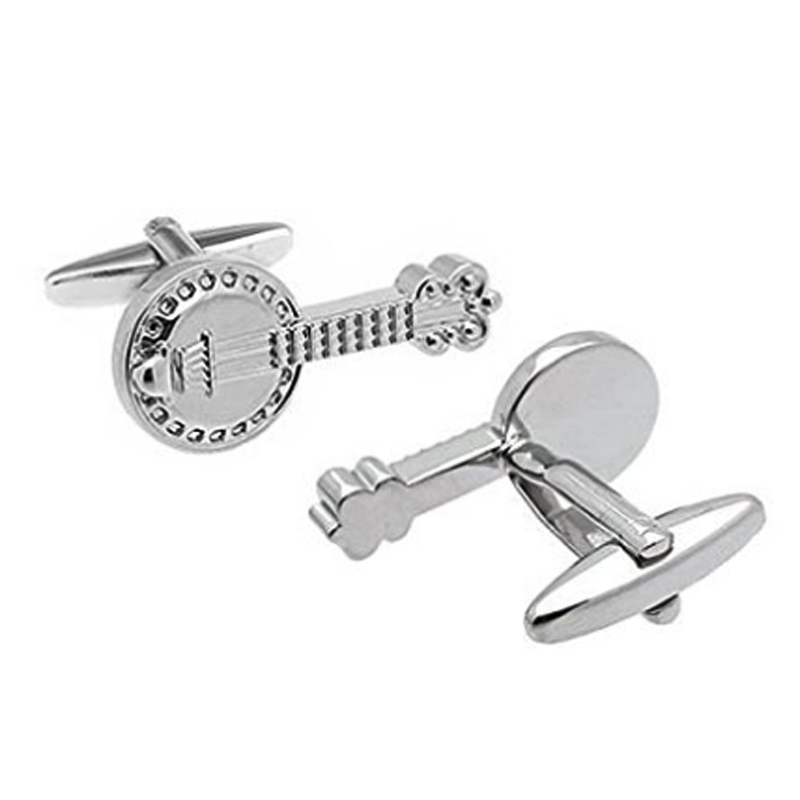 Q: How about your payment for Men Cufflinks? 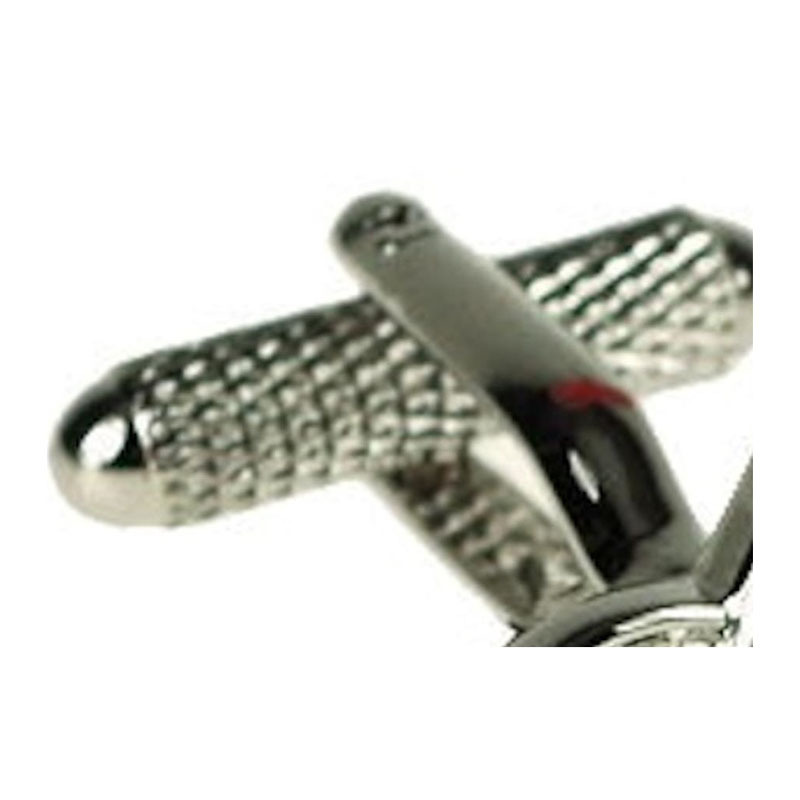 Q: Do you have a catalogue for Cuff Links?